Offer based on program size and availability over value dates. Subject to change. New business only. Not valid with any other discounts or promotions. All discounts/credits exclude tax, service charge, gratuity, spa packages, rigging, electrical, and merchandise. Discounts on IT and A/V are on pre-ordered items only. The great thing about being independently owned? No red tape. We’re free to make decisions. We’re free to work with meeting planners in developing the most creative and engaging Orlando events, with tailored offers that provide real value. The AAA Four Diamond Rosen Shingle Creek® provides an amazing backdrop for your creative meeting, set on 255 lush acres featuring 1,501 elegant guestrooms and suites and 524,000 square feet of meeting and event space. 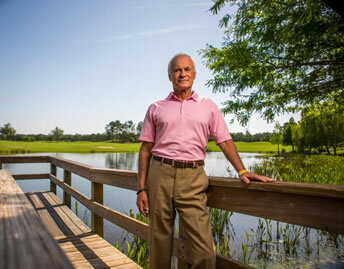 The property boasts an “everything under one roof” footprint featuring 15 on-site restaurants and lounges, a full-service Spa and lavish golf course redesigned by Arnold Palmer Design Company. Discounts for board retreats with golf professional Brad Brewer.